If your child loves coming to Rugbytots classes, why not give them a party to remember. Make your child's special celebration more fun! 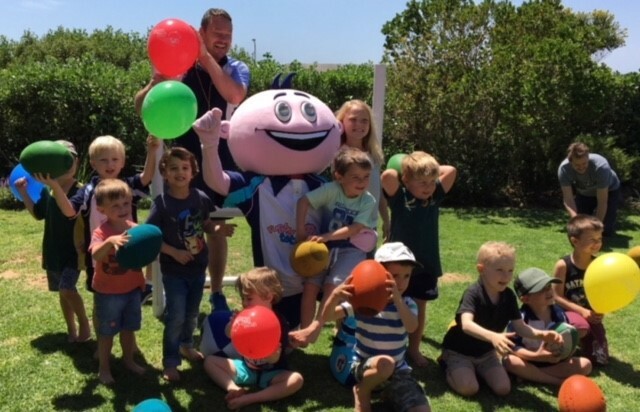 A Rugbytots Party is a fantastically fun-filled way to celebrate your child's birthday, starting school or any other special event. Whether your child already attends our classes or not, at a Rugbytots Party they'll be sure to have a ball! "Coach Paul was incredible. He engaged the children immediately, and kept them completely enthralled and entertained for the entire time. We have had so many rave reviews from the parents watching – many of whom now want to sign their children up to the classes or book their own parties." "The party was absolutely fantastic! All the children loved it. Worth every single penny! Alfie was so proud that he could show his friends what Rugbytots is about. I would without doubt recommend a Rugbytots party its not the same old boring party routine. The children were exhausted and thrilled afterwards!" We are very proud to support Players Fund.